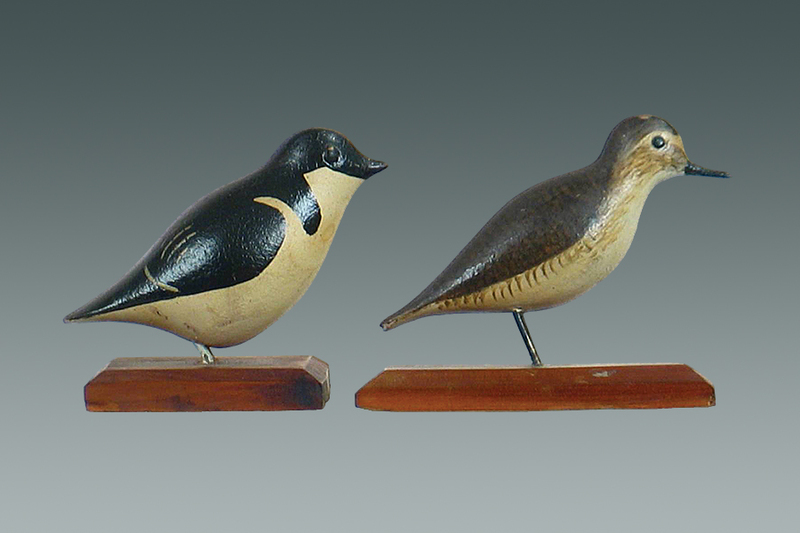 Boyd miniature dovekie $5750 and Boyd mountain plover $2415. 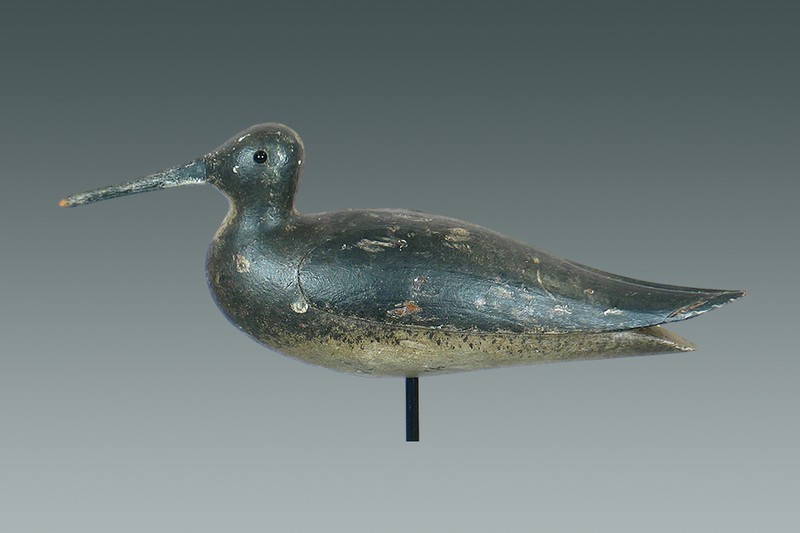 A superb example of a dowitcher by Gardner-Dexter brought $18,400. 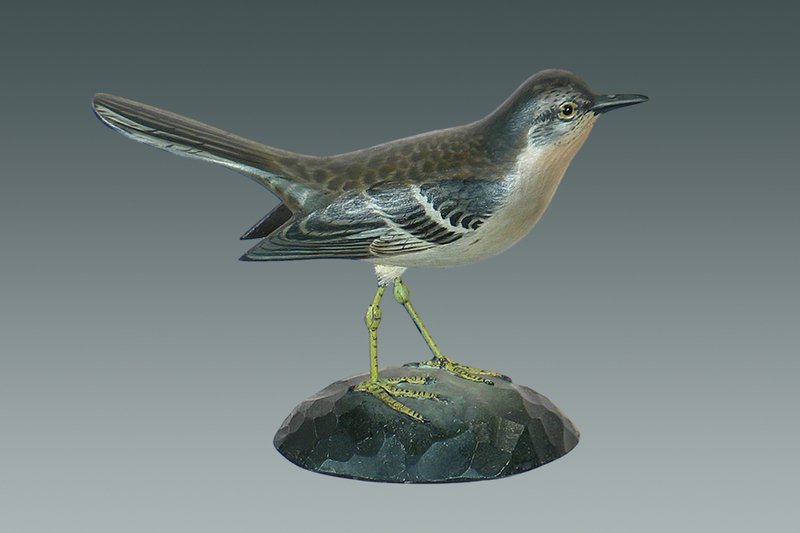 An animated walking mockingbird by Anthony Elmer Crowell brought $13,500. 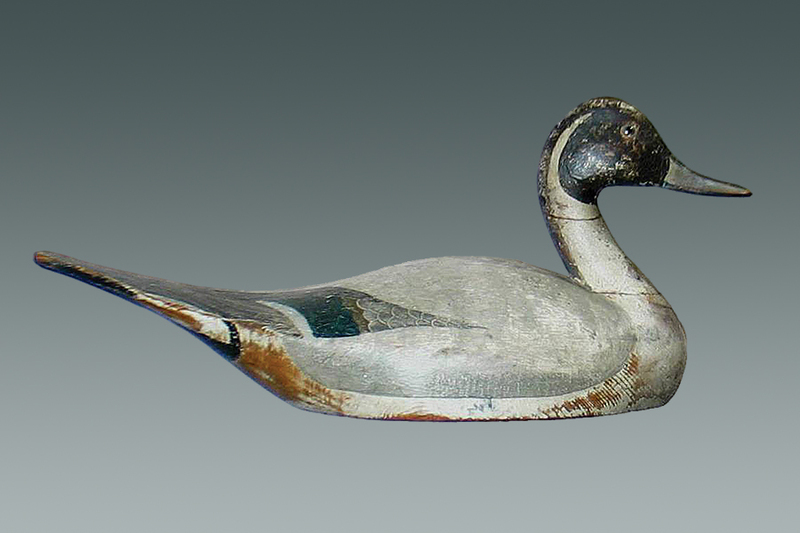 Exceptional example of a Lloyd Sterling pintail drake sold for $37,375. 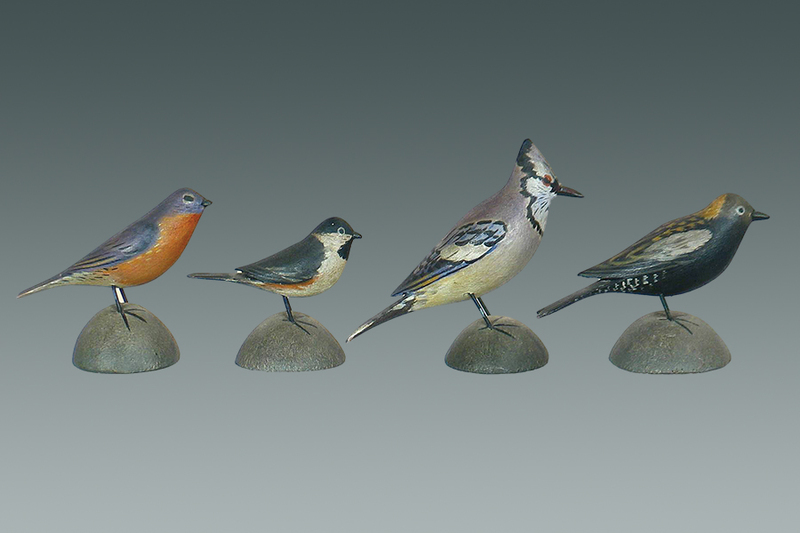 Early choice Crowell miniature songbirds sang high notes at, $1840, $1840, $2300 and $3162.50. 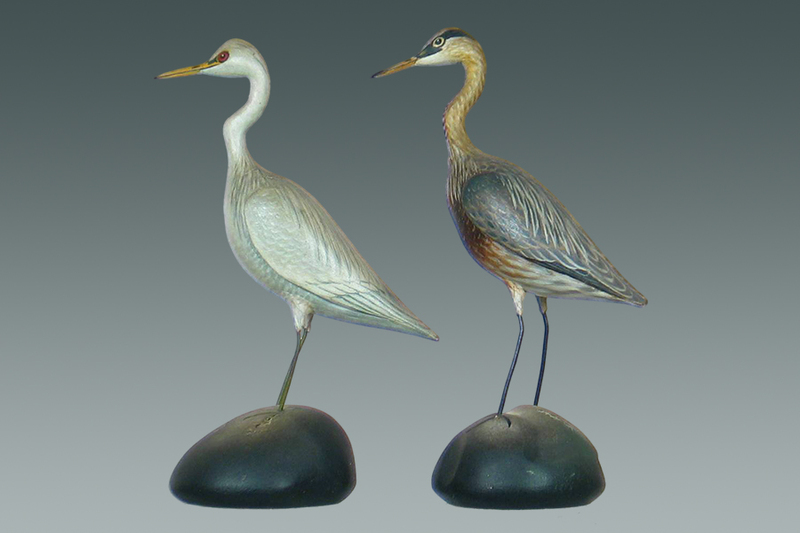 Miniature egret and great blue heron by Anthony Elmer Crowell both set back to back new auction records at $25,875 for the egret, lot 124, and $31,050. 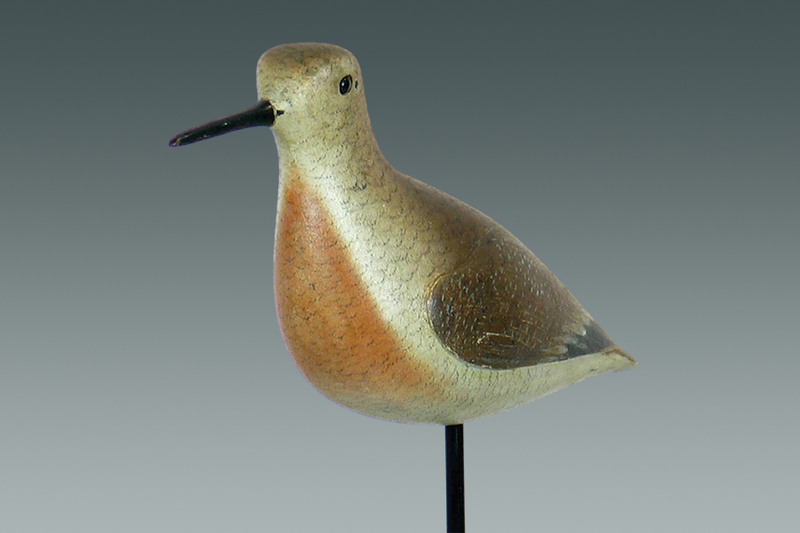 Exquisite red knot in emerging spring plumage by John Dilley realized $51,750.